← Making your own Christmas Presents? How about a Christmas Shrug! Have you been thinking about learning to sew but been a bit daunted and put off by the choice of sewing schools and teachers available? Maybe you’ve felt intimidated by going back to learning, thinking it might be a bit like school? Perhaps you thought you wouldn’t be good enough or creative enough to join a sewing class, that everyone else would be much better? You might even have been put off by the thought of a strict / lazy / patronising / old fashioned / clueless teacher or simply a teacher you wouldn’t be able to get along with. Have you been wondering how to choose between the many people that are now offering to teach you how to sew? Here are a few tips that I hope might help you to reach the right decision (these are the criteria I would personally would apply to choosing any kind of teacher!). how long have they been sewing? do they have a teaching qualification? did they do any relevant training before teaching – have they got a degree or similar in the subject that they’re teaching? have they actually worked in the industry in which they’re now teaching? are they teaching full-time, or is it a hobby or just for fun? what’s the teaching space like? Is it equipped with all the necessary equipment or do you have to take in your own? what do other people say about the classes? Can you read some reviews on Google or similar, or previous student’s testimonials? what is the teacher’s reputation more widely? Have they had their work published, either in a book or magazine? are you going to learn anything in the classes or is it just a social coffee morning? Can you find examples of things previous students have made? Ultimately, you need to decide why you want to go to classes and what you want to get out of them. If you just want a bit of sociable creative time without really learning much, then you’re probably better off with a community or pub based sewing group with friends. If you want to make progress and really learn and practice some new skills, you would enjoy going to some classes. And before you know it, you could be one of these happy and proud students…..(most of whom were complete beginners when I first met them). One of the reasons I wanted to write this post was a conversation I had recently with one of my students. She has been coming to my classes now for over 6 months and when she started was a complete beginner. She confessed to me this week that she had been wanting to come to sewing classes for over a year before she plucked up the courage to give me a ring and come along to one of my classes. She had been wrestling with some of the questions I began this post with and applied some of the criteria above when deciding to give me a ring. I’m so glad she did, she’s doing great and making fantastic progress; enjoying wearing the clothes she’s made and now making a shirt for her dad for Christmas. Here are my answers to all those questions…..
how long have they been teaching? – I’ve been teaching since 2007.
how long have they been sewing? – Since I was 12 – almost 30 years! do they have a teaching qualification? – I got my PGCE in 2007.
did they do any relevant training before teaching – have they got a degree or similar in the subject that they’re teaching? 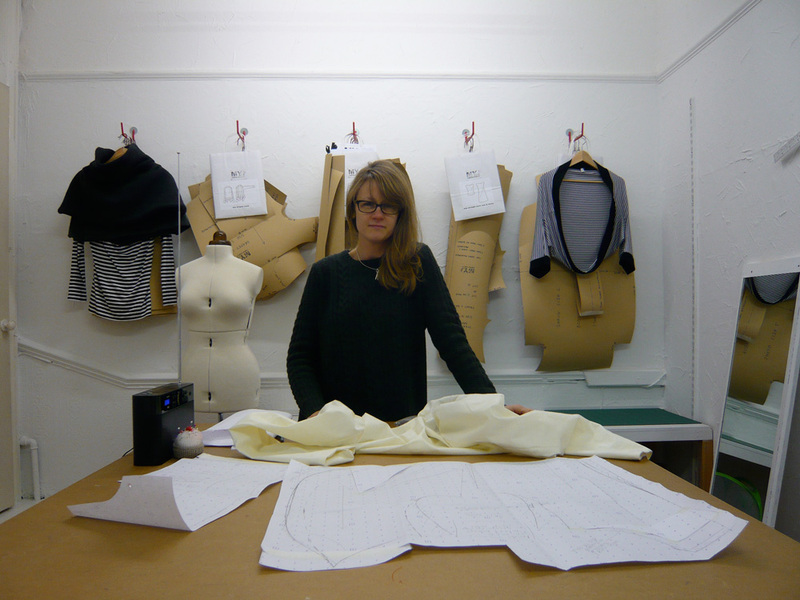 – I have a BA degree in Fashion (1st class) and an MA in Design. have they actually worked in the industry in which they’re now teaching? – I worked for high street clothing companies as a designer / product development manager for 7 years. are they teaching full-time, or is it a hobby or just for fun? – My business is my livelihood and is very full-time! how many students are there in each class? – 4 for pattern cutting and 5 for sewing and dressmaking, never any more than that. are they still practicing in the area in which they teach? 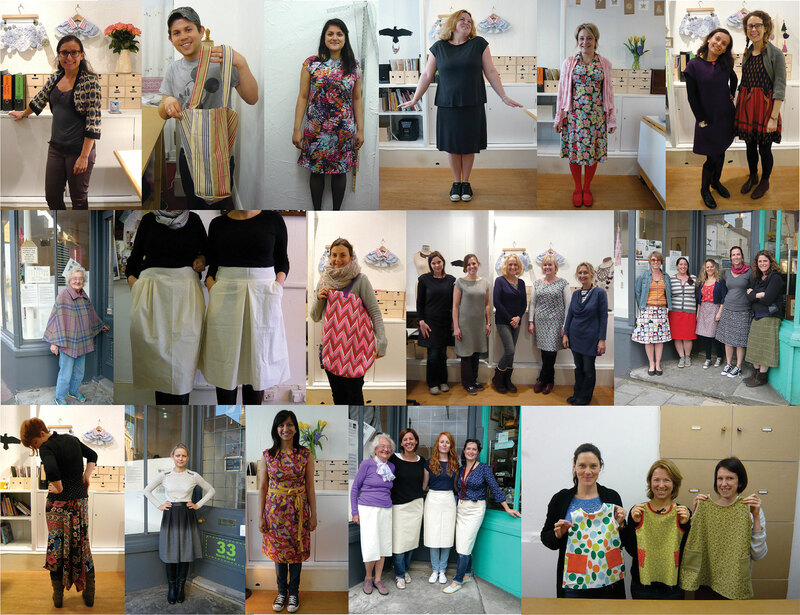 – Yes, I’m designing my own range of sewing patterns called MIY Collection which are available for students to use in classes at MIY Workshop, I have a stand at the Knitting & Stitching Shows in London and I exhibited at Made Brighton in 2013.
what’s the teaching space like? Is it equipped with all the necessary equipment or do you have to take in your own? – MIY Workshop has a specially designed cutting table, 5 Janome sewing machines which are regularly replaced, Juki overlocker, Babylock embellisher and 2 Bernina 1008 sewing machines all available for students to use along with specialist pattern cutting tools and equipment. what do other people say about the classes? Can you read some reviews on Google or similar, or previous student’s testimonials? 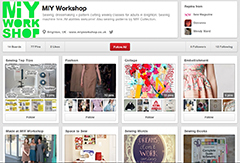 – If you Google MIY Workshop you will find reviews and you can read testimonials from my students here. are you going to learn anything in the classes or is it just a social coffee morning? Can you find examples of things previous students have made? – You can find lots of pictures of student’s work all over this blog! This entry was posted in MIY Workshop, Uncategorized and tagged easy sewing patterns, how to choose a sewing teacher, independent sewing patterns, learn to sew brighton, miy collection, MIY Workshop, modern sewing patterns, sewing classes Brighton, Wendy Ward. Bookmark the permalink.